Scanning the bullet-scarred rooftops of Iraq’s western desert, Hussam al-Mayahi (see photo above) deployed a small drone to search for ISIS fighters in Fallujah’s city center. As a contractor for the Ministry of Interior, he had travelled from his home in Basra to his country’s harshest front lines, over 560 km away. His drone, bought at a market near the Green Zone, acted as an artillery observer. Rocket launchers on Fallujah’s outskirts would then shell those rooftops as he provided coordinates. 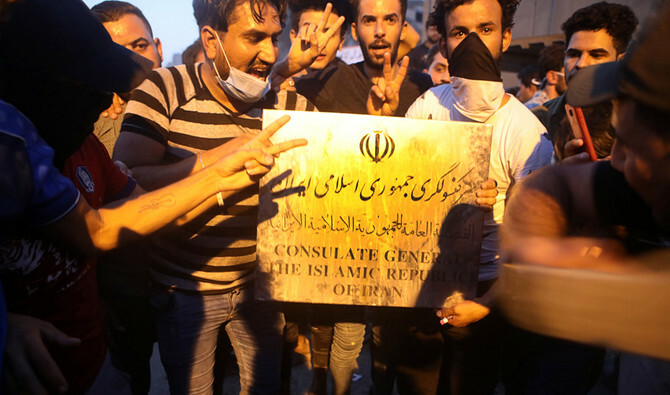 Iran, the patron saint of anti-American Shia paramilitaries throughout the Greater Middle East, sees the Iraqi Civil War as an opportunity to field some of its own drones. Shia resistance movements and terrorist organizations that battled the United States Army during the Iraq War are now flying Iranian-made, military-quality drones alongside the Americans whom they once sought to kill. Many of Iraq’s militiamen and policemen, often outgunned and understaffed, have resorted to purchasing off-the-shelf drones in Baghdad and on the Internet to improve the accuracy of their artillery batteries. The popular models come from DJI, a Chinese company that manufactures commercial and recreational drones for aerial photography and video. Iraqis can find DJI products at local toy stores. 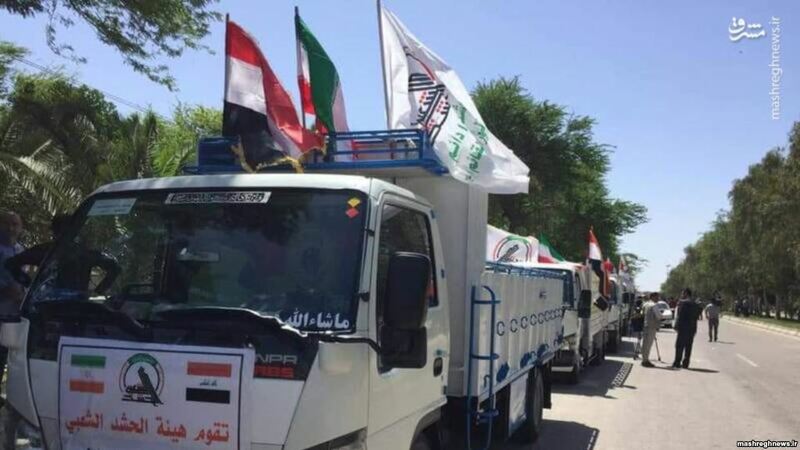 Shia militias such as the Peace Companies have showcased their independence from Iran by building their own weaponry and ignoring the Islamic republic’s sectarian agenda. 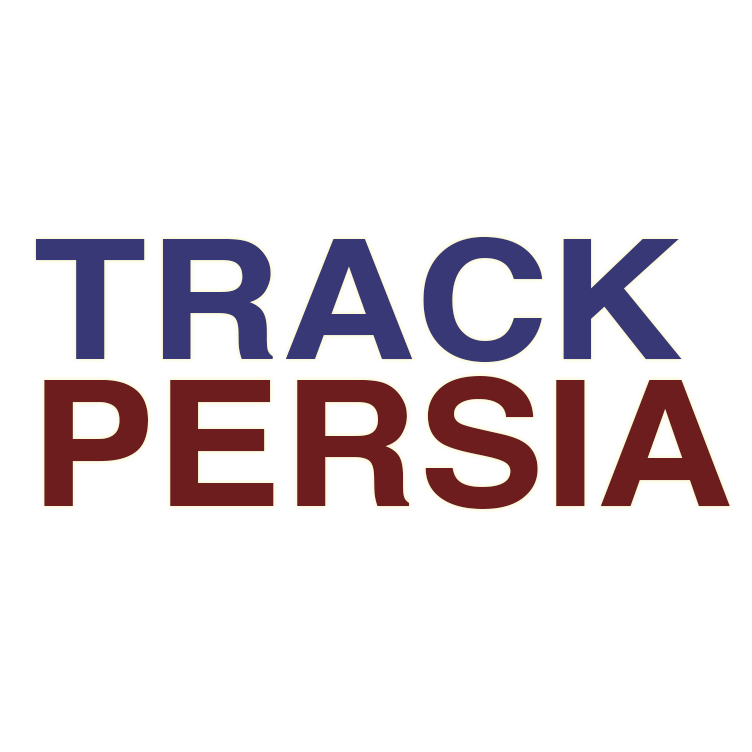 The Special Groups, a byword for Shia militias that Iran armed, funded, and trained to fight Americans and Sunnis during the Iraq War, have continued to follow Tehran’s directives. 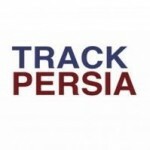 Iranian advisors often accompany them to the front lines. The Americans and the Iraqis have, meanwhile, long competed for control of the Iraqi Security Forces (ISF), where the military leans toward Washington, the police toward Tehran. A CH-4 in service with the Iraqi Army Aviation. The ISF’s better-resourced military branches, such as the Iraqi Army, have access to combat drones. Last year, the Iraqi military purchased three copies of the Cai-Hong 4 (CH-4) — also a Chinese drone — to complement an American shipment of F-16s. The CH-4 is from the CASC Rainbow series of the China Aerospace Science and Technology Corporation. It resembles the General Atomics MQ-9 Reaper flown by the American-led coalition but is larger, with a sixty-foot (18 m) wingspan. In part, the Iraqis buy drones from China because China rarely questions its client, like Myanmar and Sudan, which human rights defenders have accused of committing genocide. Some of Iraq’s larger Shia militias have likewise looked to unscrupulous foreign patrons, requesting drones from Iran to reconnoiter and surveill the battlefield. “They have the best models,” said al-Mayahi, complaining that his off-the-shelf drone’s battery only lasted forty minutes. Many of the Iranian-made drones deployed by the Shia militias in Iraq have evolved from reverse-engineered American technology. The US-military first used the Boeing Insitu ScanEagle, an unarmed military drone inspired by an earlier design for forecasting weather and spotting fish, in the Iraq War in August 2004. In December 2012, Iran claimed to have captured one. The ScanEagle has an infrared camera and no need of an airfield for takeoff, a critical feature for war zones in Asia’s mountainous countries. It remains popular with militaries from Afghanistan and Yemen to Malaysia and Japan. Now, it’s providing overwatch for Shia militias in Iraqi skies. I contacted commanders and press secretaries from Harakat Hezbollah al-Nujaba and Kata’ib Hezbollah, two Iranian-backed Shia militias in Iraq whose leaders the US State Department has labelled terrorists. They confirmed that the Islamic Revolutionary Guard Corps (IRGC) had provided drones modelled on the ScanEagle, agreeing to discuss the general circumstances of their use. “We have three drones in Baghdad, two in Makhul [near Baiji], and one in al-Saqliwiyah [near Fallujah],” said Haider al-Baghdadi, the press secretary with al-Nujaba. He added that al-Nujaba’s models are variants of the Yasir, Iran’s drone reverse-engineered from the ScanEagle. Iran gave the ScanEagle drone copy to its proxy forces in Iraq. 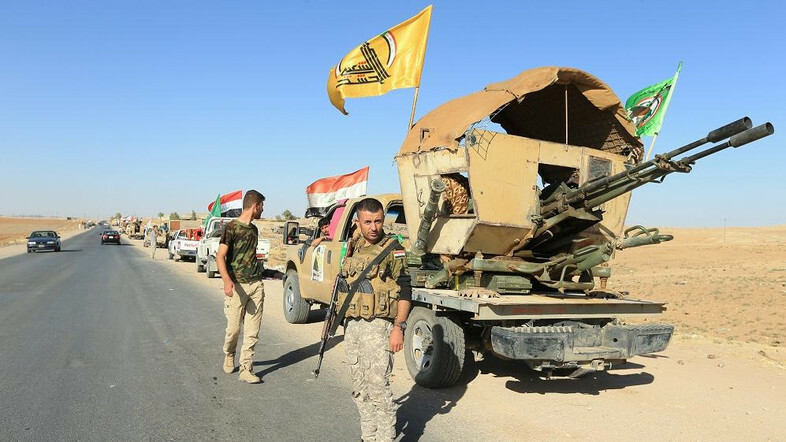 A militiaman based in Makhul reported that Kataib Hezbollah kept most of its drones in Camp Speicher, an Iraqi air force academy and former American military base near Tikrit. A little over two years ago, Camp Speicher was the site of an ISIS-led massacre. According to the militiaman, Kataib Hezbollah has been using the air academy’s two 3 km runways since its recapture. Al-Baghdadi implied the Shia militias’ apparent shortage of engineers. 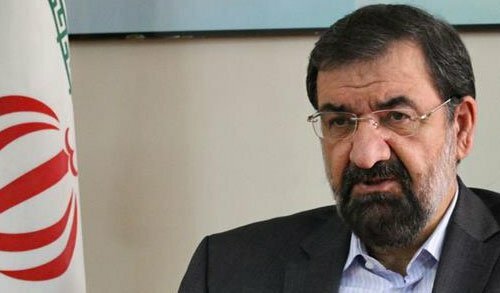 Al-Nujaba, like the Interior Ministry, had started hiring Iraqi contractors to maintain the Iranian drones. He declined to confirm whether Iran had offered its own engineering expertise. Though Kataib Hezbollah and al-Nujaba are the only Iranian-backed Shia militias linked to terrorism, several others with dubious records on human rights and worrisome connections to Iran have acquired military-quality drones. Shunning discretion and secrecy for the sake of propaganda, many of these Shia militias have in fact posted pictures of their high-tech aircraft on social media. Pictures of fighters from Jund al-Imam Ali, another Iranian-backed Shia militia, posing with a Yasir have appeared on Twitter. I first spotted al-Nujaba’s copy of the Yasir on one of its members’ Facebook accounts. That member refused to comment on the matter. Iranian support for the Shia militias extends beyond the Yasir and other ScanEagle variants. Kataib Hezbollah has shot video from a drone that, based on the landing gear, appears larger than the Yasir. Adam Rawnsley, an expert on drones and Iranian military technology, speculated that it might be an Iranian-made Ababil 3. Kataib Hezbollah called it a “Basir-1”. The Ministry of Interior’s drones, obtained from toy stores like Abu Abdullah’s, lack the endurance and range of the Shia militias’ advanced Iranian-made drones. Al-Mayali’s can only fly for forty minutes (Photo: Laith al-Haydar). The Ababil 3, like the ScanEagle and the Yasir, is an unarmed drone, but Iran has manufactured variants for short- and medium-range attack. In March 2009, the US-military downed an Ababil 3 that US-officials believed to be scouting routes for smuggling weapons from Iran to Iraq. Israeli officials asserted that Iran gave Hezbollah twelve variants of the Ababil capable of carrying a 40 kg warhead almost 250 km. It has since appeared in Sudan, Iran’s onetime ally. The dangerous ramifications of Iranian-made drones’ proliferation is neither immediate nor obvious. Iranian-backed Shia militias such as Kataib Hezbollah and al-Nujaba have traded fighting their long-term American enemy for the short-term goal of defeating ISIS, and, in any case, they are using unarmed drones. The Ababil and the Yasir, flown by militiamen lacking experience, are redundant when combat drones piloted by the best militaries in the world are bombing ISIS daily. “It is no surprise that Iran has made the reverse-engineered ScanEagles available to the militias in Iraq,” Dan Gettinger, founder of the Center for the Study of the Drone at Bard College, said in an email. “New platforms, like soldiers, typically require battlefield experience before they can be trusted and adopted on a wider scale. […] It’s unlikely that it poses much of a direct threat to the Western-led coalition against ISIS.” For now, the coalition and the militias are more or less on the same side. The future implications of Iranian-backed militias with Iranian-made drones are the most alarming. Whether these drones endanger US-soldiers in Iraq or not, they will threaten US interests elsewhere. Iran has sent drones and Iraqi militiamen to Syria, where they are killing rebels trained by the CIA and the Pentagon. There are even reports that Iran’s drones have fallen into ISIS’s hands. The possibility of an ISIS drone fleet has sparked its own range of concerns. The Shia militias are living up to their name as Iranian stooges. “I imagine this is a bit of the IRGC being accustomed to acting through local proxies, and a bit of it being easier or less (politically) risky to train an Iraqi operator than it is to forward deploy one of their own teams”, Galen Wright, an associate researcher with Armament Research Services, told me. If the Iraqis can use the drones against ISIS, Iran’s allies in Lebanon and Palestine can deploy them against Israel, the most important US-ally in the Middle East and one of Iran’s greatest enemies. As Gettinger noted, the Iranians are getting experience where they can.